To check out some of my old childhood Toy Story art, visit Part 1 HERE if you missed it! Trying to keep these in [relatively] chronological order, we'll start with the pictures above! 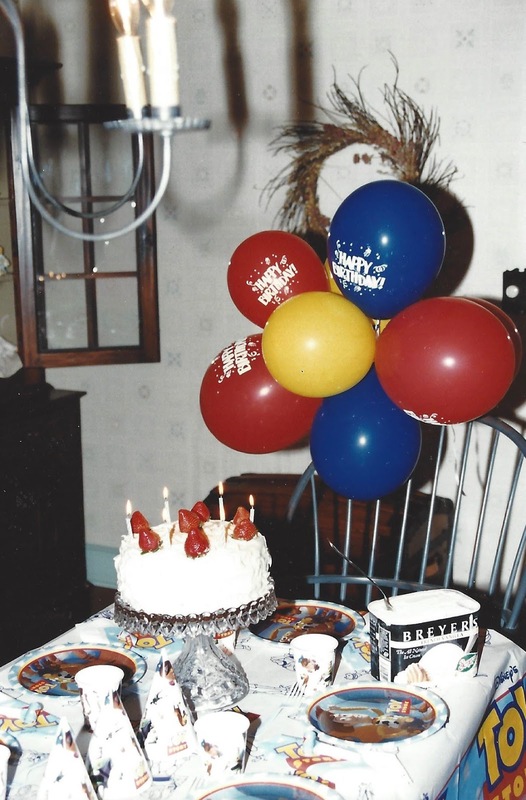 That's me at my Toy Story themed party on my sixth birthday, May 1996. 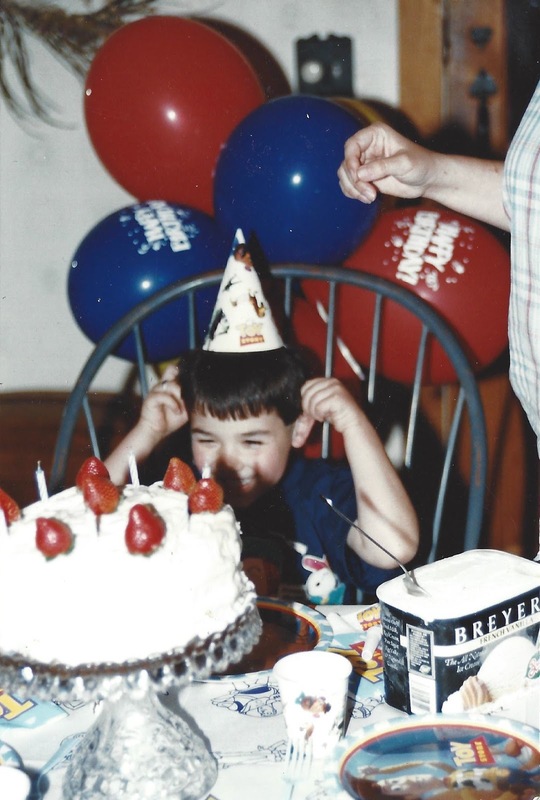 As far as the picture below (which you've probably seen on my "about me" or another throwback post I've done), I can't figure out for the life of me what year it was or how old I was. 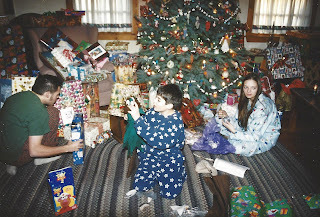 I'm guessing sometime during the school year in 1996. 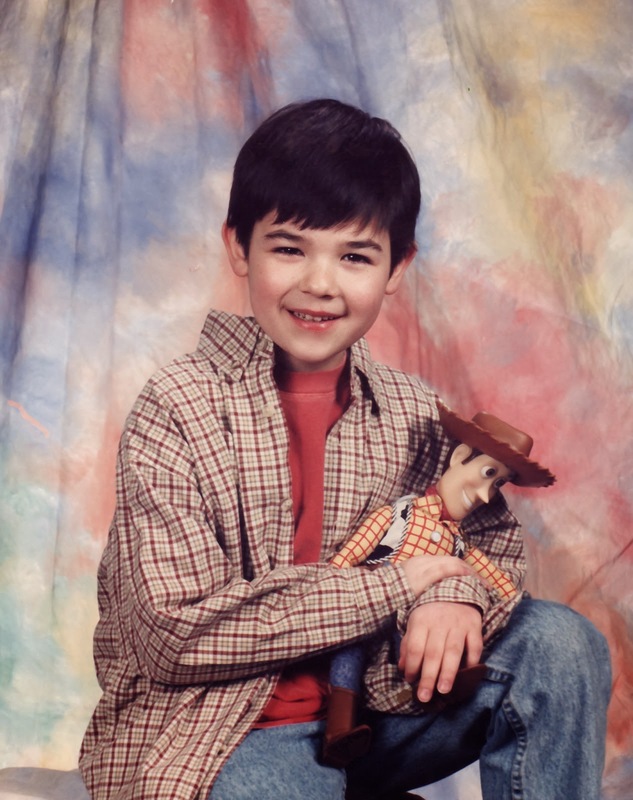 I love this one though- me and my original Woody! Friends for life. 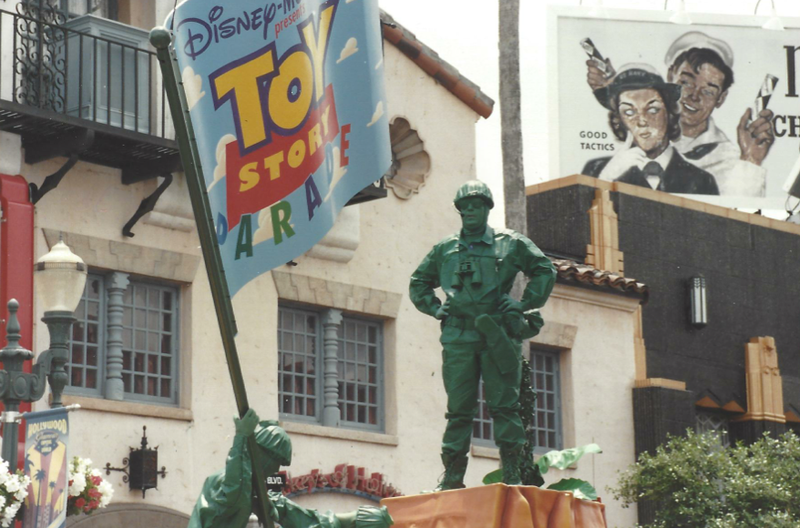 I believe this next one is Christmas 1996, a little over a year after Toy Story's release in theaters. It was fun stumbling across this one since I hadn't remembered ever seeing it; me and my Mr. Potato Head! 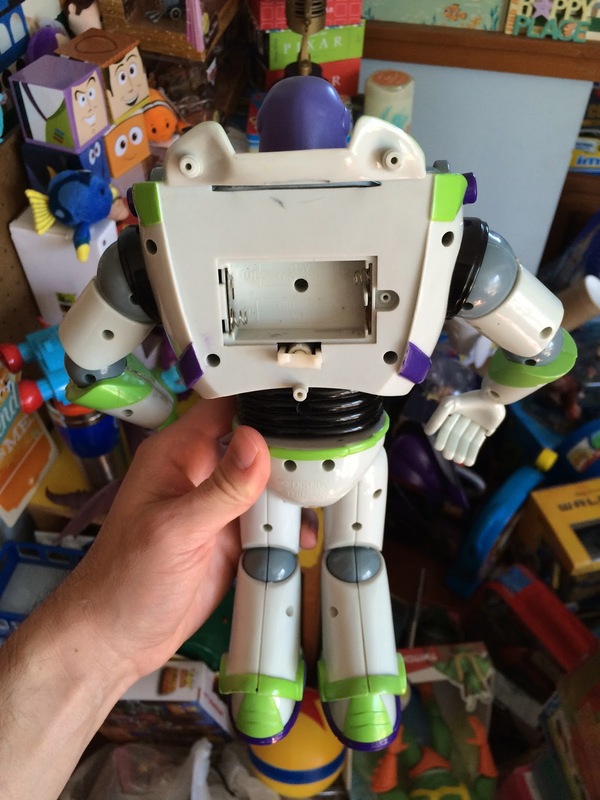 I still have the very same one to this day with all the original pieces (see my post HERE). 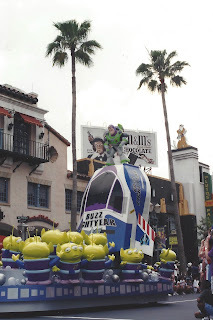 Next up, this picture was taken at Hollywood Studios (then MGM Studios) during our 1997 trip to Disney World. Anyone, by slight chance, remember exactly where this photo op was in the park? 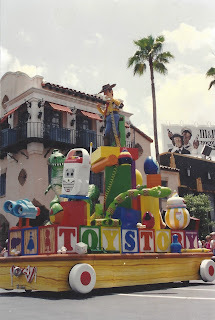 I absolutely loved the Toy Story Parade at MGM Studios! Such great memories, I wish it would make a comeback. This parade was the very first Toy Story themed attraction in the parks and ran from 1995 until it was replaced by Mulan in 1998. You can watch the entire thing on YouTube HERE! 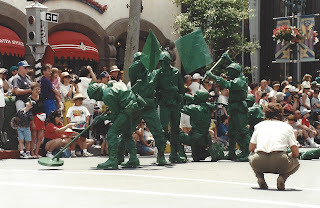 The really cool thing about this parade is that it had just about every character from Andy's room represented. The main ones were obviously there (Buzz, Woody, Mr. 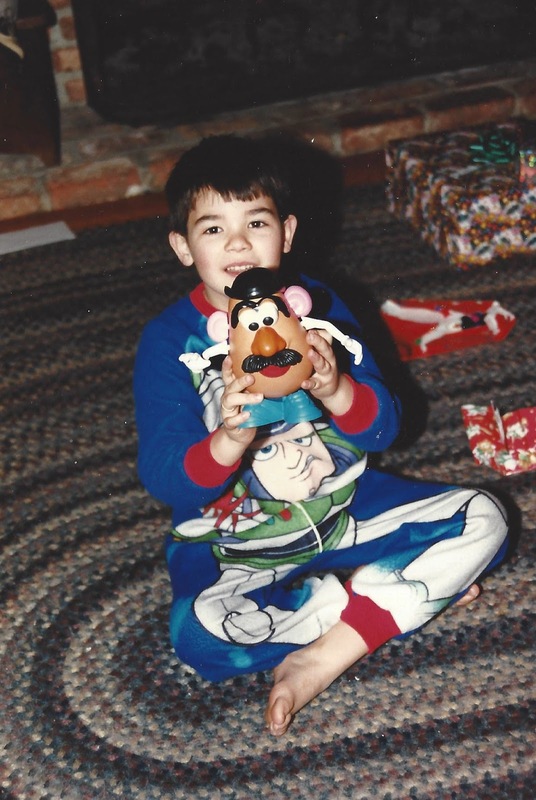 Potato Head, Rex, Slinky, Bo Peep, Hamm, etc.) but it also featured a ton of the secondary toys as well (such as the barrel of monkeys, the roly poly clown, snake, Mr. Mike, Rocky, Lenny, the troikas, Bo Peep's sheep, troll, aliens, army men, a hot wheel car and more). Even the baby monitors were a part of it! 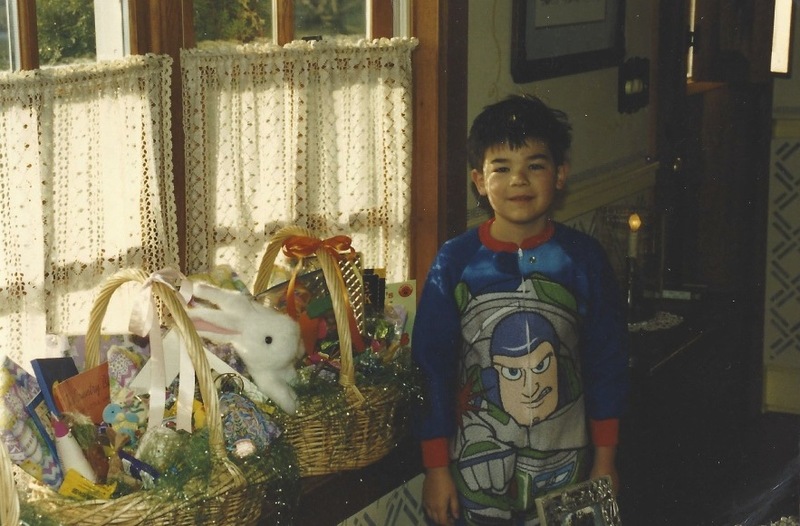 And who's this kid in the background? I have no idea, but he is awesome. 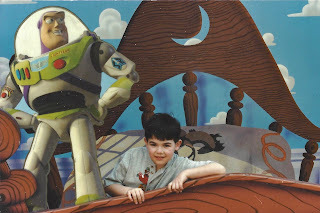 I thought I was Toy Story's #1 fan back in the day, but something tells me this kid may have had me beat. 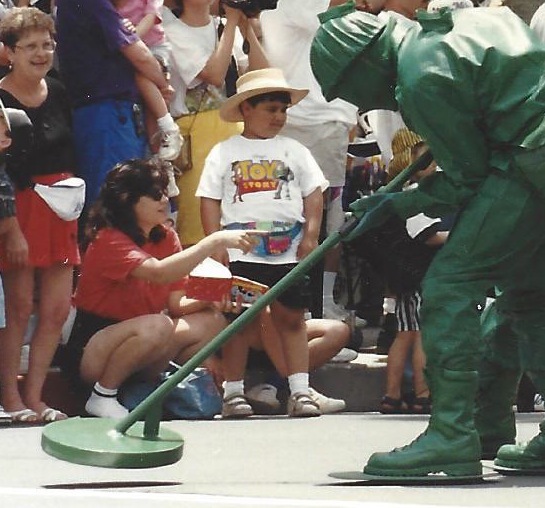 I mean, he even has the 90s fanny pack! If this is you, shoot me a comment. I'm sure we could totally be friends. Now we're jumping all the way to Christmas '99. This picture almost didn't make the cut (since it's subtle), but I couldn't resist because of the Toy Story 2 Mrs. Potato Head in the corner there. It's cool to see me getting some of the old merch! I guess getting Potato Heads for Christmas was a thing. Well that's it for pictures. Like I said, I wish more were taken! 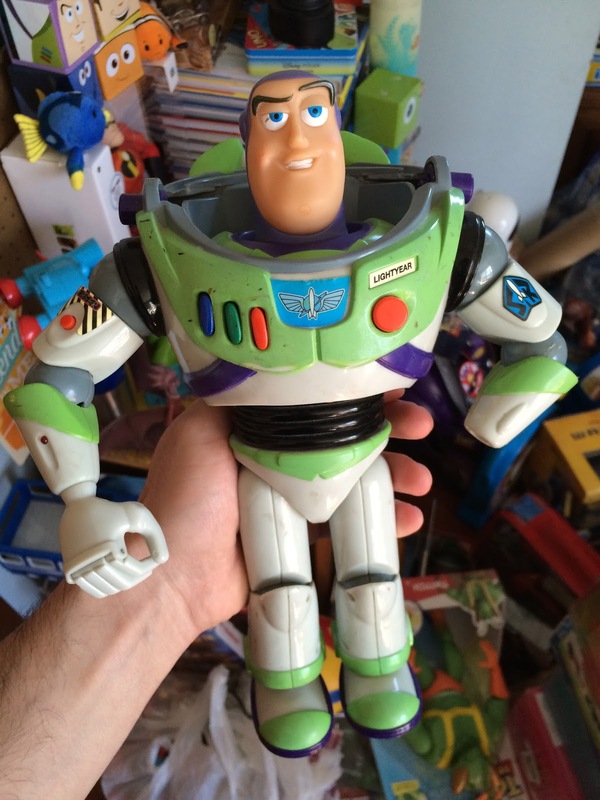 Now let's take a look at my old Buzz Lightyear toy that I found. 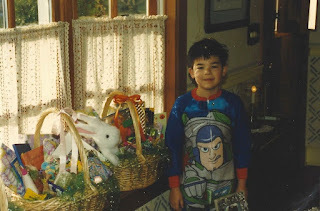 This is the very first Buzz that I ever got...unfortunately he barely survived. This is one of the few things of mine from back in the day that just didn't make it! I consider him well loved. 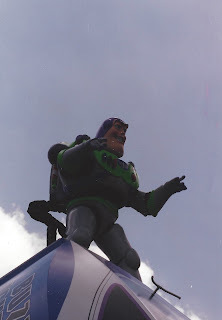 Like with Woody, I had to write my name on Buzz's foot in "permanent ink" as well! Which kid didn't? I also put those little positive word star stickers on the bottom of most of my Toy Story toys back in the day...I have no clue why, but there it is still hangin' on. That's it for tonight! If you're having fun with this, be sure to check back tomorrow for more. I'll be taking a look at some of my old A Bug's Life coloring pages and a video of me receiving an A Bug's Life gift for Christmas '98. Stay tuned!